Welcome - J.P.P. Insulations - improve the energy performance of your home, cavity wall insulation, external wall insulation, attic insulation, internal wall insulation, air tightness, new build. Do you need to improve the energy performance of your Attic and stop losing precious heat? Or perhaps you are considering innovative Cavity Wall or Dry Lining? We can also improve the level of noise in your home or the fire safety of your home or business. Speak to one of our experts today who will assess the energy rating of your home and quickly set to work. J.P.P. Insulations were established in 1983 and are a leading insulation company offering a range of insulation services. 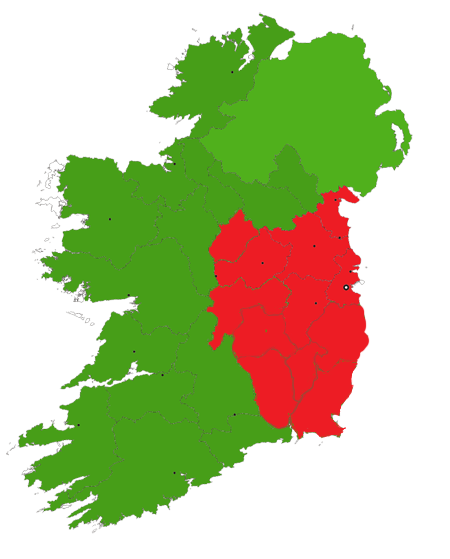 We cover all areas of Dublin, Kildare, Meath, Louth and Westmeath, all counties in the Greater Leinster Area.